Just like with other apps, you can interact with notifications by sending a quick reply saying you're currently driving, having the message read out loud to you, and replying by speaking to your car. 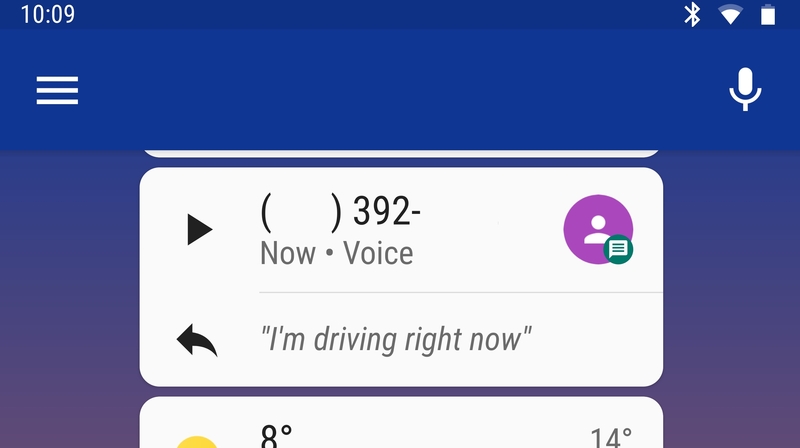 These features are pretty standard with Android Auto, but unlike with other messaging apps, we haven't been able to send out new Google Voice messages. In fact, the only way we could get it to send a text was by replying to an incoming one, while prompts to send outbound messages were answered by "I can't send Google Voice messages." I'm glad Google is working on integrating its products with each other — although it should have done this long ago — but, as usual, it's not done properly, and the ability to send out messages with Voice should have been there from the start. This actually seems to be an Assistant limitation, as it doesn't seem to support Voice yet, but it's appalling Google hasn't worked on making its own products work with each other.